Ben Feder is President of International Partnerships for the U. S. for Tencent, the Chinese internet titan that owns WeChat. Previously, Ben was CEO of Take Two Interactive, publisher of Red Dead Redemption and Grand Theft Auto. He’s the author of Take Off Your Shoes: One Man’s Journey from the Boardroom to Bali and Back, a tale of his journey of self-discovery when he left corporate America, unplugged, and took his family to live in Bali for a year. Stew and Ben talk about priorities in our lives and how to keep them foremost in our minds. They talk about legacy and what that might mean for how we live our lives every day. They discuss the importance of realizing, hard as it may be to see, that we all have choices -- even if we don’t have the option to chuck it all and move to a Pacific island for a long stretch -- and that it’s essential to make conscious, deliberate decisions about what we do with our precious time on earth. Ben describes the benefits of mindfulness, yoga, and a practice of inquiry, or challenging assumptions, especially about ourselves, for freeing ourselves to live in a way that’s more closely aligned with our values. Users who like Ep 95. Ben Feder: Working to Live or Living to Work? Users who reposted Ep 95. Ben Feder: Working to Live or Living to Work? Playlists containing Ep 95. Ben Feder: Working to Live or Living to Work? More tracks like Ep 95. 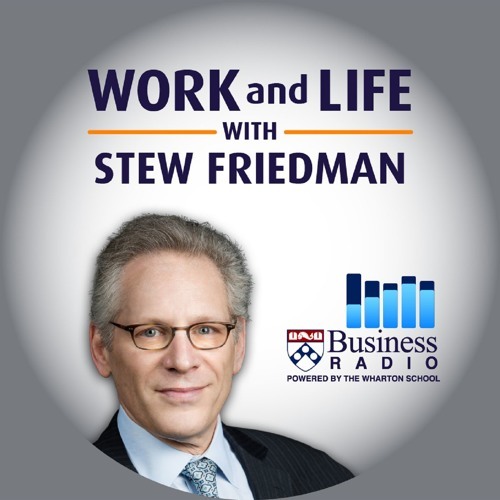 Ben Feder: Working to Live or Living to Work?